The 3rd Annual Quick 32 at The Dirt 300 in Albuquerque, NM is complete after a great weekend of racing action. Texas racer Roy McGlohon took the big $1500 win in the Pro Open class defeating Wendy Riesland in the final round. Henry Alvidres emerged as the winner in the tough Pro Open Quads class taking the $1500 victory over Mike Pruitt. Other winners from Saturday’s racing action included Mike Eberhard (Trophy Quad/Bike), Monty Ross (Trophy 4x4), Travis Brown (Juniors), and Christopher Segura (Youth). Day one is complete at The Dirt 300’s 3rd Annual Quick 32 in Albuquerque, NM. This is the first Quick 32 race at the new NAPA Speedway location. Damon Hall led the Pro Open Cars class with a Best ET of 3.68 in the Fiat previously owned by Jackie Stidham. 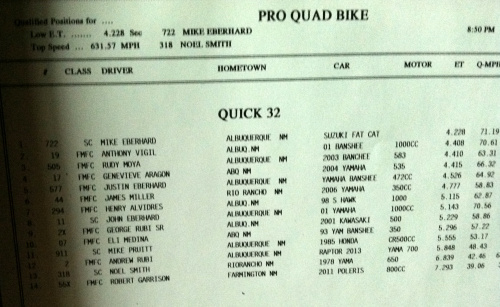 Mike Eberhard leads the pack in the Pro Open Quads class turning a 4.22 on his wild two-wheeled Suzuki entry. Other top qualifiers from Day One included Anthony Vigil (Trophy Bike/Quad), KC Springer (Trophy 4x4), Kaden Rankin (Juniors), and Christopher Segura (Youth). TJ Maloy suffered as scary crash in his brother’s Procharger-equipped Altered. Thankfully TJ escaped without major injury. Saturday will see final Qualifying and Eliminations at The Dirt 300. Stay tuned for all the latest here on NSDN. 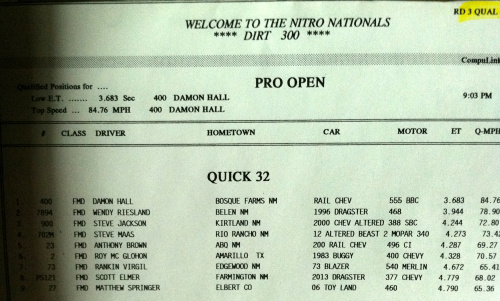 National Sand Drag News will be on-site at NAPA Speedway's The Dirt 300 in Albuquerque, NM for the 3rd Annual Quick 32 on August 16-17. 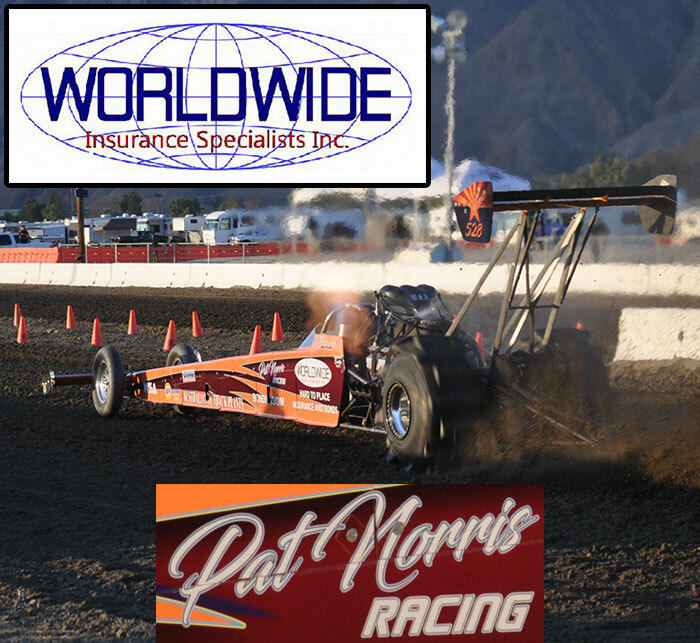 This race features the Pro Open Cars & Quads Quick 32 classes with Purses featuring $1500 to win in each of those categories. NSDN will have our normal race coverage including all the stats, results, news, and videos each night after racing action is complete. Be sure to check our Twitter Feed at the top of the each page or visit the Twitter Feed directly at www.Twitter.com/NSDN. Also, we will be updating the NSDN Facebook page throughout the event at www.Facebook.com/NationalSandDragNews. This NSDN Daily Race Coverage event is brought to you courtesy of The Dirt 300 and NAPA Speedway. Racing kicks off on Friday with the early Qualifying Rounds for the Q32 classes as well as Test and Tune. Check back throughout the weekend for all the latest news from this event.